Eye-catching forms and surfaces, tactile materials and finishes and of course, premium audio components. The h.ear on headphones have it all. They are available in bold, smart colors including Lime Yellow, Viridian Blue, Charcoal Black, Bordeaux Pink, Cinnabar Red. Select from the dropdown menu. This set comes equipped with Bluetooth for a wireless listening experience. The h.ear on headphones combine comfort and great sound with practicality — a compact folding design makes them easy to fit in a bag or coat pocket. Enjoy total listening convenience wherever you are thanks to a carrying case, in-line remote, and tangle-free cable. The in-line remote and mic let you handle calls and control music. A carrying case and tangle-free cable help keep your headphones in good shape. Length:	1.2 m, 3.9 ft.
Warranty terms vary according to product. 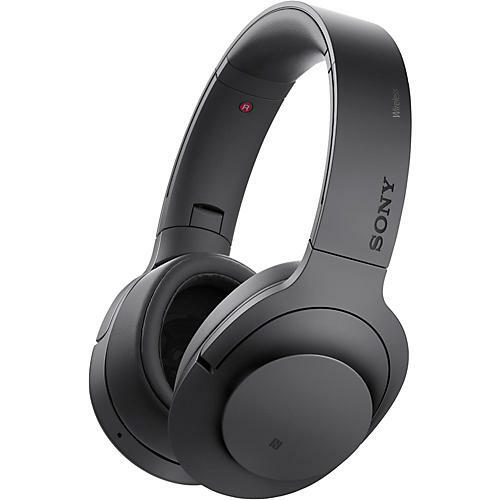 For warranty information on specific Sony products, please go to http://www.ita.sel.sony.com/support/. 90 days parts and labor on refurbished items.